​Following a temporary break from club football, Huddersfield and Liverpool return to Premier League action on Saturday evening. Huddersfield's 2018/19 campaign has been a miserable one thus far, with the Terriers failing to pick up a single win from their first eight games. 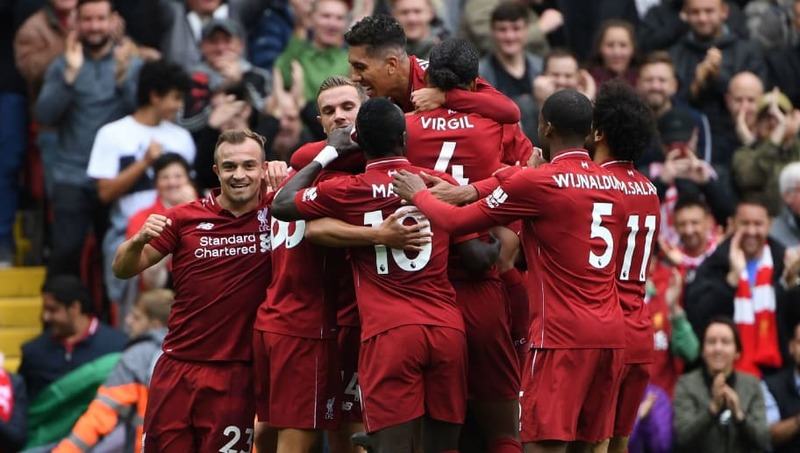 They were able to secure a point away from home against Burnley in their last match, but it wasn't enough to drag them out of the bottom three where they currently reside. As for Liverpool, things are looking decidedly brighter. Jurgen Klopp's men are joint top of the table after their opening run of games and are yet to taste defeat in the league. However, their last result was a goalless draw with title rivals Manchester City, leaving them without a win from their previous four matches. These sides haven't had the pleasure of facing off against one another very often in recent years, with last season's encounter at Anfield being the first since 1999. It turned out to be an interesting affair, with the Reds prevailing 3-0 courtesy of an electric second half display. The first half was a frustrating one for ​Liverpool, with a missed penalty from ​Mohamed Salah summing up their shortcomings in the final third. However, quick fire goals from Daniel Sturridge and Roberto Firmino just ten minutes after the restart soon changed the atmosphere at Anfield with the three points seemingly being secured. Gini Wijnaldum then went on to wrap up the game with a blistering close range finish. ​Huddersfield looked to be pulling off a serious coup by landing a former World Cup winner in the shape of Erik Durm and, so far, he's been doing a decent job in west Yorkshire. The ex-Borussia Dortmund man has been a steady presence at right-back for David Wagner's side and is demonstrating that the injuries he suffered during his spell with the Bundesliga outfit curtailed what could have been a very promising career playing at the highest level. His defensive skills will be seriously tested on Saturday when he faces up against one of the most attack minded full-backs in the Premier League, Andy Robertson. The Scotsman's marauding runs down the left flank have been a feature of Liverpool's attacking play ever since he broke into the starting XI last season and Durm would do well to keep him from delivering cross after cross into the Huddersfield box. ​Aaron Mooy pulled out of the Australia squad during the international break, but he expected to be fit on Saturday for Huddersfield. Meanwhile, the likes of Phillip Billing, Ramadan Sobhi and Danny Williams are all doubts to start, whilst Terrence Kongolo will miss out with a hamstring injury. Liverpool have plenty of injury concerns, with Virgil van Dijk, Mohamed Salah, Naby Keita and ​Sadio Mane all returning from international duty with knocks. However, Keita and Mane are the only two that are set to miss out. James Milner is expected to be in contention for a start after making a miraculous recovery from an injury he picked up during the draw against Manchester City. Predicted Huddersfield Lineup: Lossl; Durm, Schindler, Zanka, Lowe; Mooy, Hogg, Parra, Kachunga, Pritchard; Mounie. Predicted Liverpool Lineup: Alisson; Alexander-Arnold, Gomez, Van Dijk, Robertson; Henderson, Milner, Wijnaldum; Salah, Shaqiri, Firmino. It is easy to see why Huddersfield find themselves languishing at the foot of the table - they simply cannot put the ball in the back of net. David Wagner's side are relatively secure at the back, but that won't be enough to help them in the long run, especially when they come up against teams who are gunning for the Premier League title this season. Liverpool are in the midst of a poor run themselves and are without a win in their last four matches in all competitions, but they should get back to winning ways in this one. It's unlikely to be walkover, but it would be a big surprise to see Liverpool walking away from the John Smith's Stadium with anything other than three points.